With the growing use of internet in the past decade or so, the importance of protecting everything available online has been felt since the emergence of cyber crimes. According to Bill Gates, the founder of Microsoft “Domain names have and will continue to go up in value faster than any other commodity ever known to man”. Domain names are not to be understood just as an address for computers on the internet, but with the growth in commercial activity, it has become a business identifier also – namely allowing to find company online, which is the very reason that although it is already a subject matter of intellectual property rights laws, its scope must be widened to other technology and online business related aspects. A domain name is easy to remember and use and serves in identifying and distinguishing the business or its good or services. Consequently, a domain name must be peculiar and unique as they not only help in tracking the website but also help in maintaining an exclusive identity and goodwill of the business. Broadly, the functions of domain names are quite similar to that of a trademark or a service mark, so, they are protected and adjudicated according to the trademark law provided under the Trademark Act, 1999. With the recent accessibility to the content available on the internet, not only to the developer but to the user, each and every concept, matter and information is vulnerable to its use. That being said, the courts have time and again held that the domain names which are crucial to the identity of a business are protected under the law of passing off and personal name and the domain names falling under the same shall be subjected to the similar protection. Where it can be seen that the domain names have not been provided with a stringent intellectual property law protection regime, the idea that lies behind that is the precise distinction between the operation of a trademark and a domain name. A trademark is prima facie protected by the laws of a country where such trademark maybe registered, but such a trademark may have multiple registrations in many countries throughout the world. Whereas, the internet allows for access without any geographical limitation, a domain name for that reason is potentially accessible irrespective of the geographical location of the users. The outcome of this potential for universal connectivity is not only that a domain name would require worldwide exclusivity but also that national laws might be inadequate to effectively protect a domain name. One of the cyber crimes prevailing in relation to illegal use of domain names is that of cyber squatting. Cyber squatting can be best described as an offence relating to the registration of a domain name by an entity that does not have an inherent right or a similar or identical trademark registration in its favour, with the sole view and intention to sell them to the legitimate user in order to earn illegal profits. To overcome the problem of cyber squatting, registration of a domain name has become a necessity and for that matter the system of registration of domain names with accredited Registrars was sought after the consultation between ICANN (Internet Corporation for Assigned Names and Numbers) and WIPO (World Intellectual Porperty Rights Orgainisation). Not only was a system for registration of domain names evolved but also an international regulation of the domain name system (DNS) necessitated. Therefore, the registration of domain names not only protects it from being subject to illegal use but also grants the rights to the owner of the domain name, as they may be valuable corporate assets, facilitating communication with a customer base. 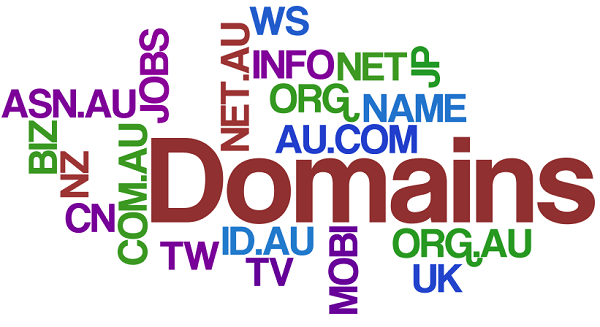 Domain names have itself attained as much legal sanctity as a trademark, or a trade name and are entitled to protection. Thus, a well protected domain name is certainly immensely helpful for security and worldwide prominence, which makes the registration and protection of domain names advisable and imperative. Where there is infringement, there will be a dispute and similar is the case with the domain names, the offence of cyber squatting and any other infringement of the domain name’s owners rights invites disputes relation to domain names, which is why, along with a rigorous and censorious system of registration of domain names, the ICANN and WIPO also came up with an efficient efficacious dispute resolution policy, named as the Uniform Domain Names Disputes Resolution Policy (UDNDR Policy). This gave a right to any person or entity to formally complain before the competent administration dispute resolution service providers listed by ICANN under Rule 4(a) for an effective dispute resolution under the UDNDR Policy, 1999. However, the judgement of the UDNDR is not final and binding and can be challenged in respective jurisdictions of the parties. Like in India, domain name disputes are resolved through remedies available under the Trademarks Act, 1999, that may not be the case for any other country having a separate legislation of their own. The initial portion of the domain name is said to be the second level name and the end portion of the domain name is called top-level domain (TLD), for example, in google.com, google would be the second level name and .com is the top-level domain. The top-level domain is further classified into categories of Generic top level domains (gTLDs) and Country-code top level domains (ccTLDs). Recently, the internationalised domain names (that is, domain name in non latin scripts) that was provided by ICANN in an effort to make the internet accessible to different countries in 2011, have been released by the National Internet Exchange of India (NIXI) in seven Indian languages, that means, the website owners can now choose domain names in devnagri, urdu, telugu etc. scripts other than .in. These internationalised domain names were released in an effort to make the internet accessible in any language to everybody. The launch of these gTLDs in India is also popularly termed as ‘desi’ domains, as they have been released in Indian languages. These gTLDs so released would act beneficial to not only the users but also the business entities, especially to the entertainment and financial enterprises. ICANN expects these gTLDs to change the face of the internet, which it will, irrespective of however many oppositions are laid. These new gTLDs tend to foster diversity and encourage competition, expanding on the world of .com, .gov, .org and 19 other gTLDs, to all types of words in many different languages and scripts to become TLDs. In conclusion, mere adoption of the internationalised domain names for easy accessibility of internet and its wide range of services is not enough. The legal system must be based on protection and precaution rather than adjudication. With more and more usage of these ‘desi’ domain names there are far more chances of domain name disputes increasing and the Indian Laws seem inadequate to combat this problem as the subject matter concerning domain names have been excluded from the ambit of IT Act, they have only been dealt under the trademark law. It is time that domain names be treated as any other element of the intellectual property rights as was held in the Satyam Infoway Ltd. vs. Sifynet Solutions P. Ltd. [2004 (28) PTC 566]. In this case the court had held that all disputes arising regarding domain names are to be covered under the trademark law. However, it cannot be overlooked that still the issue of granting IPR protection to domain names is being neglected to the extent that they are not covered under a specific legislation. Even the Trademark Act, 1999, isn’t competent enough to adjudicate the domain names disputes and the issue of cyber squatting. While most of the countries provide for specific legislations for combating and curbing cyber squatting, India must also address the issue and formulate legal provisions against cyber squatting. The lack of available remedies with respect to domain name disputes not only hinders timely and corrective resolution of them but leaves the judicial system with very few options of addressing the issue under the trademark laws. The wide range of geographical area covered by the domain names is significant enough to have suitable and satisfactory remedies along with the already available remedies of infringement and passing off. Where many may resolute to ICANN for resolving the disputes, the decision of the ICANN stands only in the persuasive capacity as the parties have the right to file the case against the decision of ICANN in their respective jurisdictions. Hence, it cannot be denied that the introduction of ‘desi’ domain names comes as a benefit for the Indian developers and businesses to expand and cater to people without the language being a barrier anymore. This clearly shows the progress of India towards technology and development, but the protection of domain name under the Indian legal system still is in question and it is standing on a higher footing even more now as compared to a simple recognition of right given under the UNDR Policy. It is for the legislatures to harmoniously apply the principles of the trademark law and provisions concerning the domain names. While the Supreme Court has given strong and conclusive decisions with regard to the domain name disputes, it has been seen that the courts have been looked up to for conferring protection to the domain names whereas it is the function of the legislature to provide suitable laws and the courts to adjudicate. In absence of strong statutory provisions and a strong dispute resolution mechanism, there is no other right with the owner but to approach the courts.